Do you have a cracked dual pane window or has the seal failed between the double panes of glass causing moisture to fog the glass? Superior Replacement Windows provides dual pane window glass repair and replacement services for all types of PVC, aluminum and wooden window types. We custom cut the highest grade annealed and tempered glass used to assemble the insulated glass unit. Despite being developed in the 1940s, dual pane window glass didn’t become mainstream in the Phoenix area until the 1980s. Most older homes in Maricopa County are built with single pane windows. Homeowners looking to save money on their energy bill and increase the value of their home remove their single pane windows and replace them with dual pane windows. Once installed, dual pane windows provide an energy efficient barrier between the extreme hot and cold temperatures of the Sonoran Desert. Double pane window glass, also known as insulated glass units (IGUs), can break or the glass seals can fail causing the windows to get foggy or collect dust on the inside of the two panes of glass. Once a single side of the dual pane window is cracked or the window seal fails, the entire dual pane glass unit needs to be replaced in order to restore the thermal performance of the window. The first step in replacing dual pane window glass is to properly measure the existing glass size so a new insulated glass unit can be custom made. If the thickness or outside dimension of the glass is not accurate, the dual pane glass will not fit in the window frame properly. One of our professionally trained glaziers will visit your home or office to take the exact measurements and determine the glass type, thickness, color and any low-e coatings that are needed to match other windows in the property. Although most sliding glass doors are standard sizes, the thickness of the glass can vary between manufacturers so it’s important to double check the measurements. Once the glass specifications are determined we manufacture the glass in one of our manufacturing facilities in Phoenix. The fabrication process includes water laser jet cutting of the glass, sealing of an aluminum spacer between the two panes of glass using a butilene adhesive and outer sealing of the dual pane unit edge using a silicone or polyurethane sealant. Argon gas can be added between the panes of glass for additional insulation. A glazier will deliver the new dual pane glass unit to your home to perform the installation. Most dual pane windows have some type of “stop” that securely holds the glass and snaps or screws into the frame. In the first step, the frame stop is removed to expose the glass edge. The second step is to remove the existing dual pane glass and clean the frame edge using an oscillating saw and chisel. Once the glass is removed and the frame surface is cleaned, sealing tape or structural silicone is applied to the frame surface to create a seal between the inside of the dual pane glass and the window frame. The dual pane glass unit is then set into the frame and the stops are mounted to secure the glass in the frame. Low-E coatings are standard on most dual pane windows and act to reflect sunlight away from the house or commercial building so harmful rays do not penetrate the dual pane window. UV rays can fade furniture, damage artwork and break down carpeting prematurely. In addition to Low-E, we also offer bronze and gray coatings that act to filter out sunlight and also provide a level of privacy to the glass. The location of the window often dictates the coatings required. Windows on the South or West side of a home should have reflective Low-E coatings. Windows in the front of the home may use a bronze coating for privacy and provide a modern look to the building. Bronze and gray coatings are popular for commercial buildings and retail storefront windows and glass doors. Any glass type can be used to create a dual pane window, however, tempered glass must be used for doors and windows near a door or close to the floor. Annealed glass comes standard in dual pane windows and all of the coatings discussed can be applied for increased thermal performance. For sound resistance, a thicker piece of glass can be used on the interior pane for windows that are nearby roads or industrial areas. Obscure and patterned glass is commonly used for bathroom windows or where privacy is needed. To increase the insulation of a window, triple pane windows were invented by adding an additional spacer and pane of glass to a dual pane window. The benefit of a triple pane window is a reduction in thermal transfer by 70%. The downside to triple pane glass is the cost which increases the return on investment period by twenty years compared to a dual pane unit. 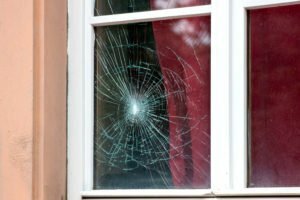 Replacing triple pane window glass is also more expensive in the case of glass breakage or seal failure. 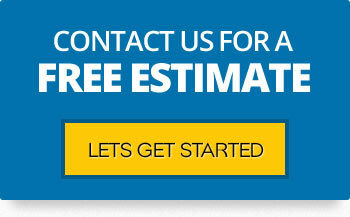 How Much Does Double Pane Window Repair Cost?